Thankfully gardening is a relatively cheap hobby. In fact it can save you money, hello free produce, flowers, and herbs! Plus there’s no need to pay for a gym membership when you’ve got loads of weeding to do, am I right? That being said it’s absolutely a big commitment of time and effort. If you want your garden to do more for you can learn to market some of your backyard garden products. This is not a guide to starting a farm and earning a full-time income. That, is way more involved than one post could ever hope to be. However using a couple of these ideas you can earn a little extra cash. Maybe you can use to buy seeds next year or that wheel hoe you’ve always wanted. 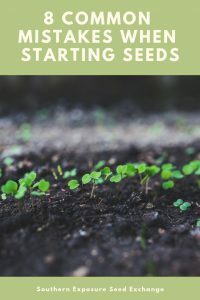 If you start your own plants from seed during the spring try starting a few extra to offer for sale to local gardeners. Plant starts are really expensive even at the big box stores and unless you have a big greenhouse in your area it’s often hard to find much variety. If you have the best heirloom tomato starts in town let people know! Talk to friends and neighbors or post a few flyers. While your backyard garden may never be big enough to sell wholesale to your local grocery store you may find a nearby health food store or food co-op that will take some produce off your hands. These stores generally require a less consistent product and supply and may be willing to work with your restrictions. It never hurts to ask. Set up a roadside stand. Roadside stands can be as simple as a table and some baskets. If you’ve got kids this may be a great opportunity in lieu of a lemonade stand. If you’re not on a road with a high volume of traffic you may want to set up elsewhere. Some businesses allow people to set up a table with produce in their parking lot, just ask around. For both options it’s good to check on things like zoning laws and local “peddler’s laws” before setting up shop. Rent a booth at your local farmer’s market. Farmer’s markets can be one of the best places to sell produce and other garden products because that’s what people are going there to buy. However there’s several things worth noting about farmer’s markets before you count on them to increase your payday. 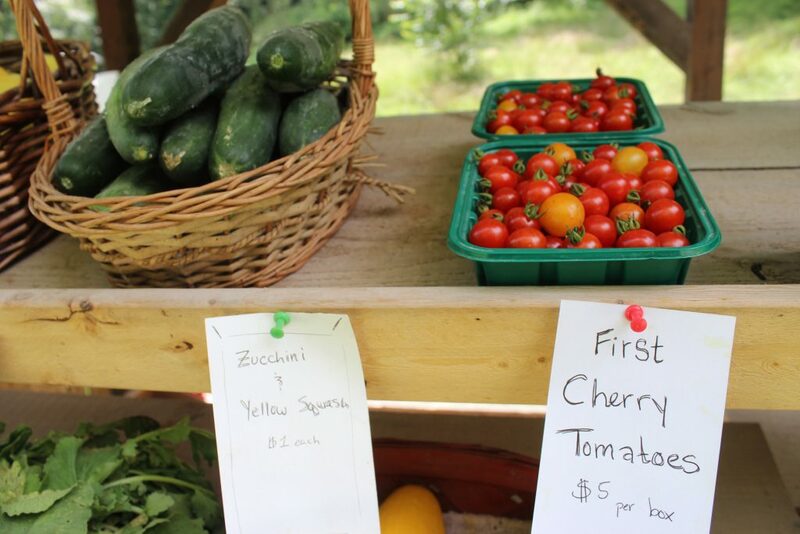 First most farmer’s markets have a fee and many now require sellers to carry liability insurance, a cost your gardening side business may not be able to afford. On top of that you need to consider the cost of fuel to get you to and from the market. Second at larger farmer’s markets you’ll be competing with growers who spend their lives doing this. Customers are more likely to spend their dollars at booths with beautiful displays and loads of produce. At larger markets you’ll need something special to stand out. Check out your local farmer’s market before renting a booth for the season. Third because farmer’s markets are better for everyone involved if there’s reliable vendors, markets generally require commitment for the entire season. You’ll have to dedicate a lot of time to the market itself plus set-up and tear-down, travel, and market prep. If farmer’s markets don’t work out you may find some local sale events that will work well for your products. You may find some church, craft, or local artisan sales that will accept your products and are easier to handle than committing to a farmer’s market. Try opening an Etsy shop. While you may not be able to sell fresh produce online there’s plenty of garden products you can. 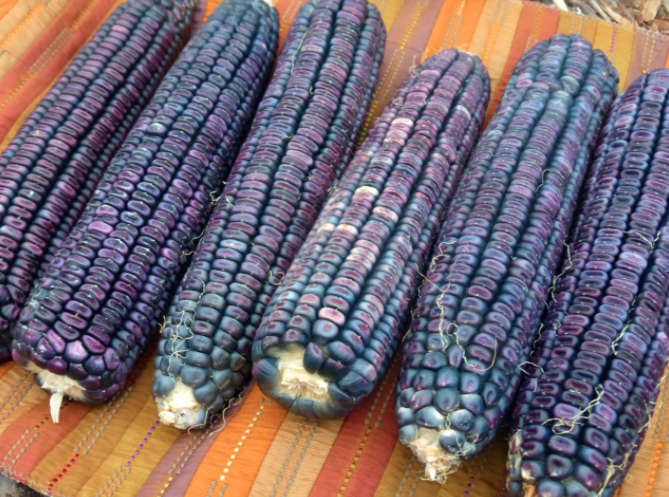 Think about things that keep well like seeds, popcorn or flint/dent corn, potatoes, onions, garlic, dried herbs or flours. Herbs especially can be grown and dried for teas or you can grow plants like Dyer’s Coreopsis which can be sold to fiber artists. If you’re not a fan of Etsy you could try your hand at making your own website or using a site like Facebook’s sale groups, Ebay, or Craigslist. If you’ve been an avid gardener for years chances are you know how to make a few of your own garden amendments. 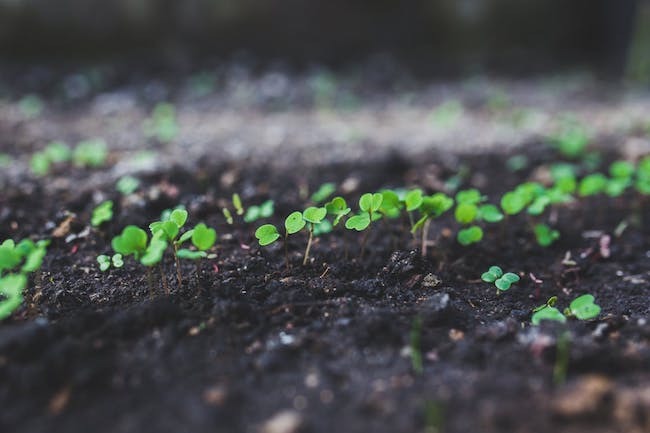 Whether it’s compost tea kits, worm castings from your awesome vermicompost set up, bio-char, or bags of compost try selling some of your homemade garden improvements. Wherever and whatever you decide to sell be sure to check on any regulations before offering your product. Things like local food laws, zoning regulations, and organic standards are all important to look into. Build a network. Especially for a small producer the best way to make sales is to get to know your neighbors. You may find people that have always wanted a place to buy really hot peppers or realize you have a neighbor that loves kohlrabi. People won’t buy from you if they don’t know you’re selling! Keep it fun. Unless you intend become a full-time farmer this side gig isn’t meant to be stressful. If it takes all the joy out of gardening it may be wise to scale back. For most people gardening is either a hobby or a profession but there’s no rule that says your backyard garden can’t make you money. If it’s something you love and are working hard at anyway selling your garden products can be a great way to bring in extra cash. How do you make money, or “para kazanmak” in Swedish, from your garden? Did we miss any great ideas? Let us know. 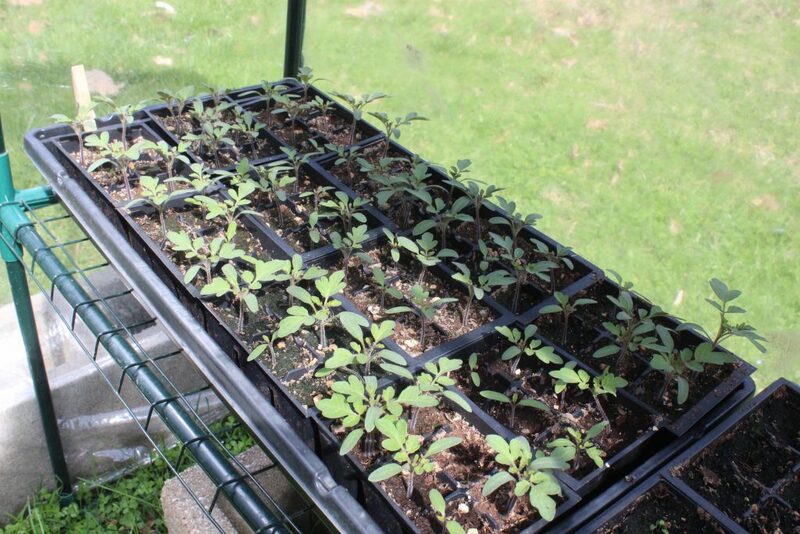 Most of you have probably already transplanted your tomato seedlings, but here at SESE we do it a bit later than most. Why? 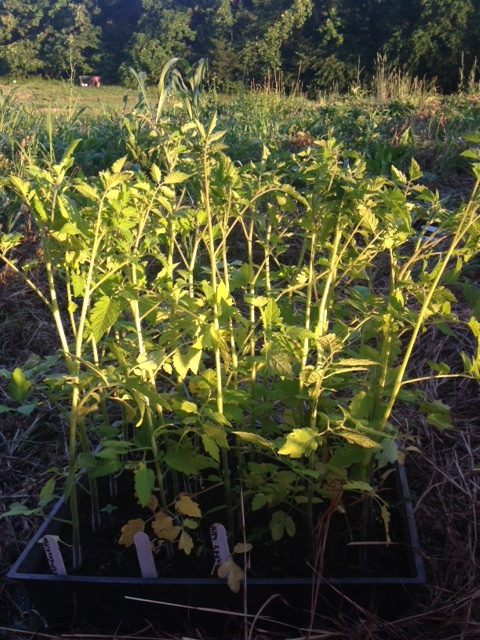 Because we want the vast array of tomatoes we grow for the tastings at our late August open house and at the Monticello Heritage Harvest Festival in September to be ready for picking just at the right time for those events. We’re growing more than 70 varieties for you to come and taste! After hardening them off for a couple weeks in our cold frames, we’re ready to take them out to the garden. For us, this means lots of careful labelling and mapping to keep all those varieties clearly separated! Step 1: We start by spreading hay thickly over the whole area where the plants will go. This serves to keep the ground cool, hold moisture in, and choke out weeds, and in the long term it adds organic matter to improve the soil. 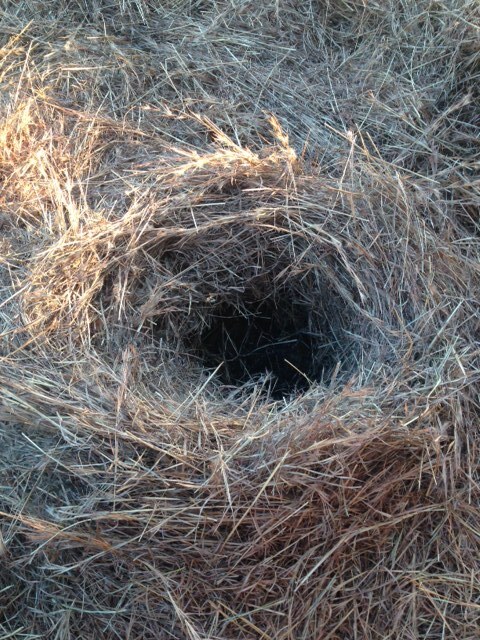 If you try this, make sure you get hay that hasn’t been treated with herbicides or pesticides. You’ll also want to get hay that’s been sitting for a year or so, giving all the seeds a chance to have sprouted and died, or you’ll be growing grains alongside your tomatoes. 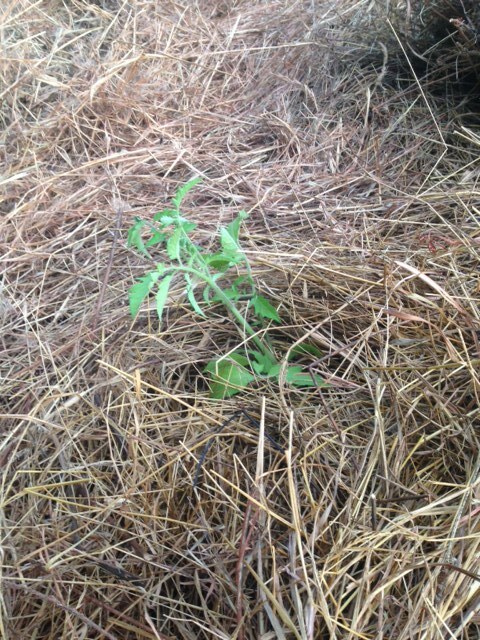 Step 2: Make a nest in the hay at each place where you want a tomato to go. Space them about 4 feet apart and make each nest about a foot in diameter, pushing the hay away until you can see the ground. Step 3: Dig a hole at the bottom of the nest, toss in a double handful of compost, and mix the compost with the soil you have loosened. Step 4: Gently pull the seedling out of its container and lay it on its side at the bottom of the hole you’ve dug, all the way at one edge of the nest space. This way you can cover not just the root ball, but also a good portion of the stem with soil. You want to bury a third to a half of the plant. Tomatoes will grow roots along any portion of the stem which is underground, and this method gives you a much sturdier root structure. Be careful that the sideways portion of the stem is supported by soil so it doesn’t break. Step 5. 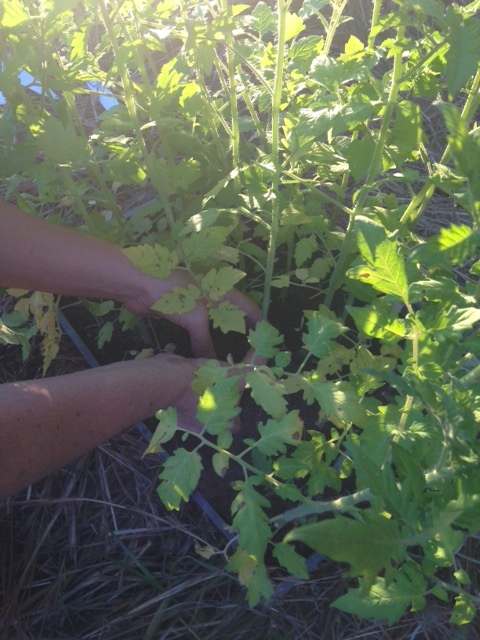 Cover the root ball and stem portion with soil and press it down firmly. 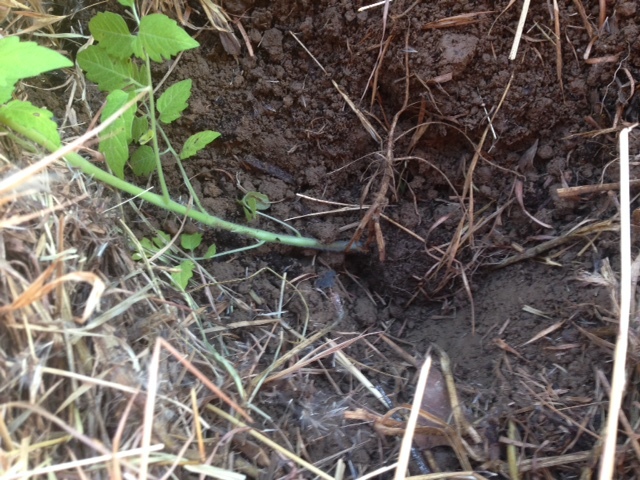 Good soil to root contact is essential to get the plant sucking up water and nutrients right away. Then pull the hay back into place all around the stem of the plant, tucking it in cozily. Finally, give it a good watering and watch your baby grow! Rutgers 250 This is a brand new variety which brings added durability to a flavourful old heirloom and we plan to add it to our 2017 catalog. Matt’s Wild Cherry This one is always a favourite at tastings, an intensely sweet wild cherry tomato originating in Mexico. Garden Peach A delightful novelty tomato disguised as a peach.